Mediacorp’s Channel NewsAsia mixed detailed infographics with a robust augmented reality integration for its coverage of the North Korea Summit between President Donald Trump and Kim Jong Un. 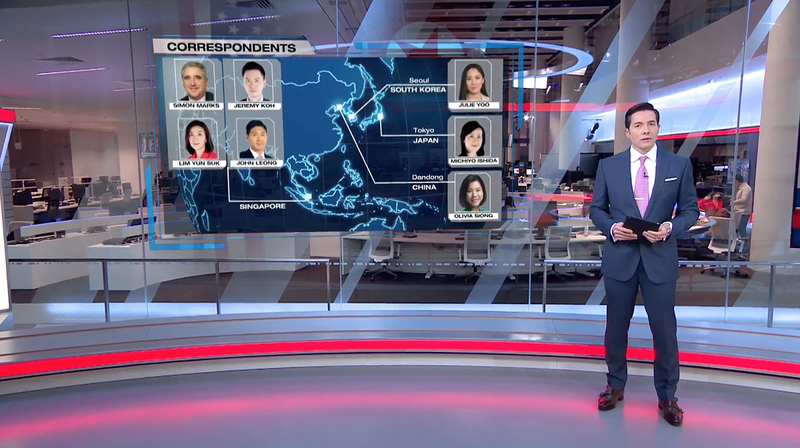 The English-language news network, which is partially funded by the Singaporean government, provides an Asian-focused view on world events from its campus in Singapore. 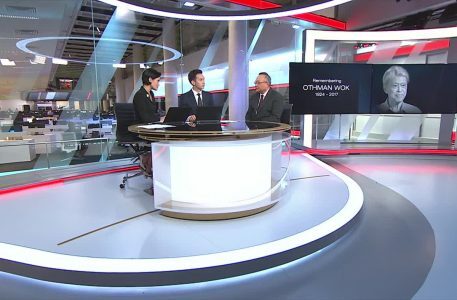 For the coverage, lead by Dawn Tan and Steve Lai, Channel NewsAsia used an augmented reality video wall behind the set’s repositioned anchor desk, utilizing what is normally the interview area of the studio. 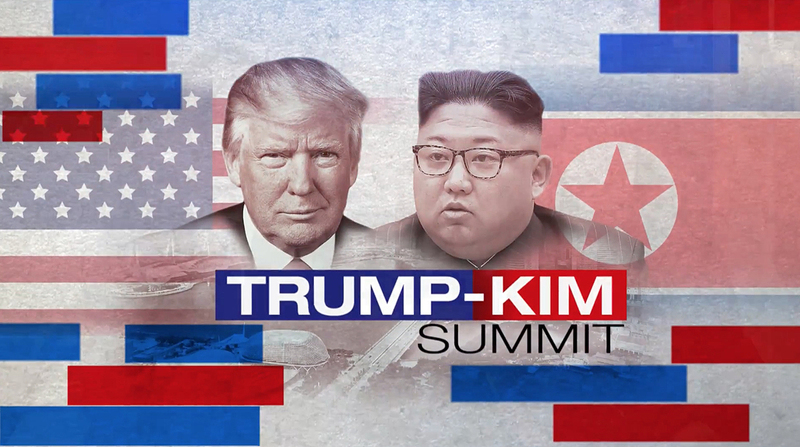 The seamless video wall created a giant canvas for live footage of the summit along with branded graphics and tosses to reporters around the summit site. 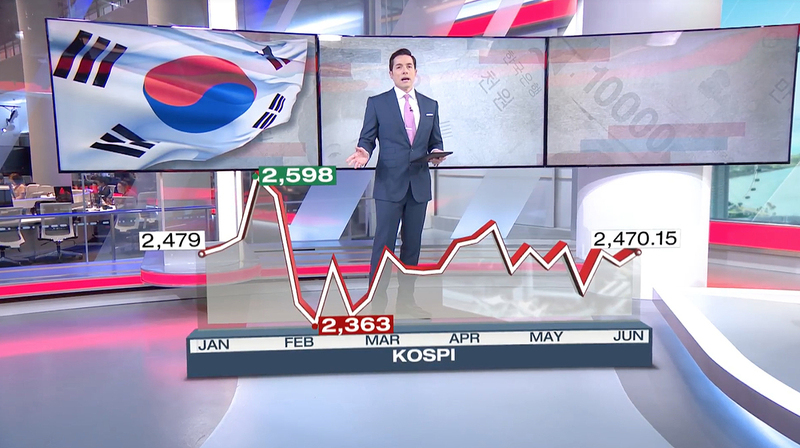 Next to this area, Adam Bakhtiar used the studio’s 3×1 array paired with AR graphics to look at the global financial impact of the summit while also giving context and background on the recent tensions with North Korea. 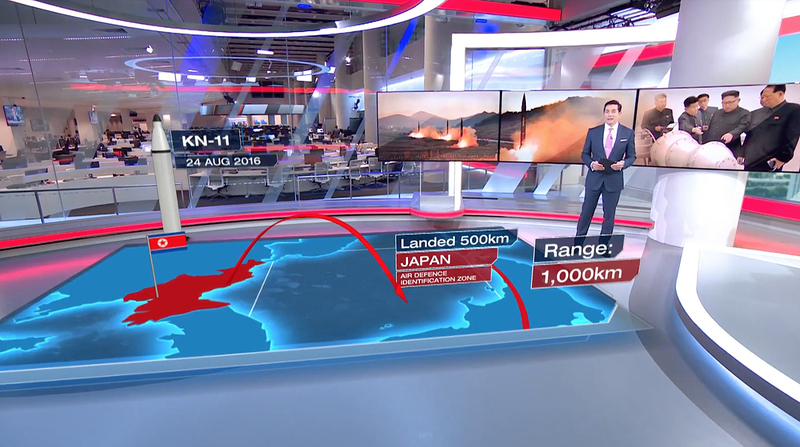 Various AR models were manipulated by Bakhtiar to explain topics like South Korea’s stock market reaction to thawing tensions along with the North Korean missile program’s advancements. Mediacorp’s facility, which opened in early 2017, uses Vizrt tools including multiple Viz Engines and Viz Multiplay to control the various monitor arrays in the studio for Channel NewsAsia and its sister networks.